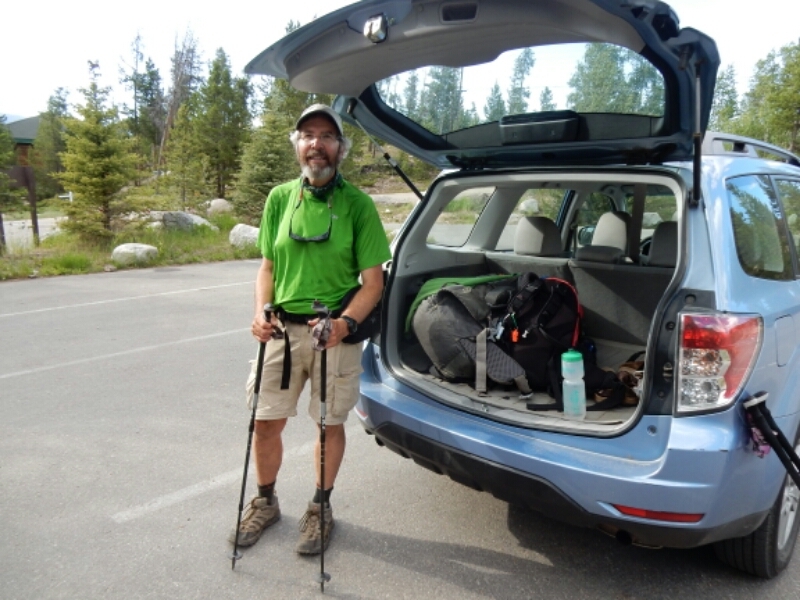 After spending three two zero days in Fraser with Cindy and our friends Nancy and Sandy, I was back on the trail for three days and 56 miles. 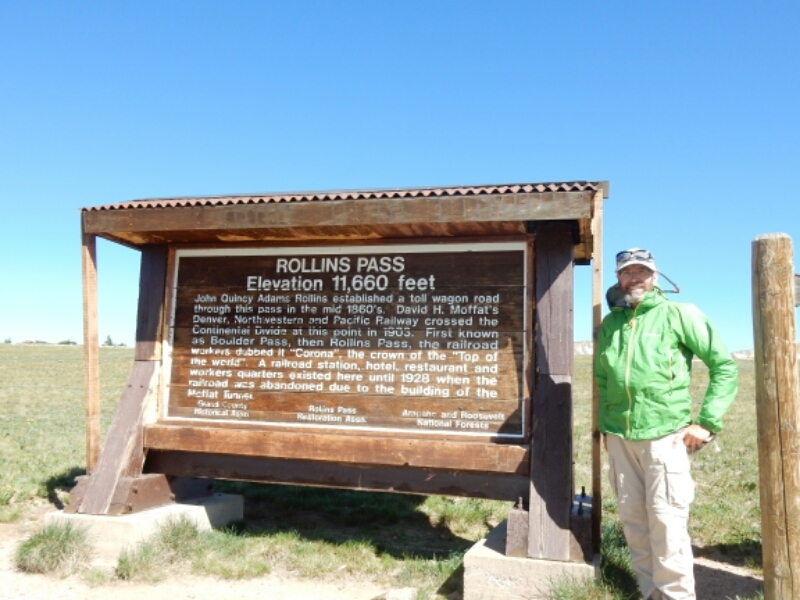 The highlight was the climb to James Peak and a scenic ridge-top descent to Rollins Pass. It was at Rollins where I hiked in 1999 and concluded I would thru-hike the CDT someday, instead of section-hiking over several years. 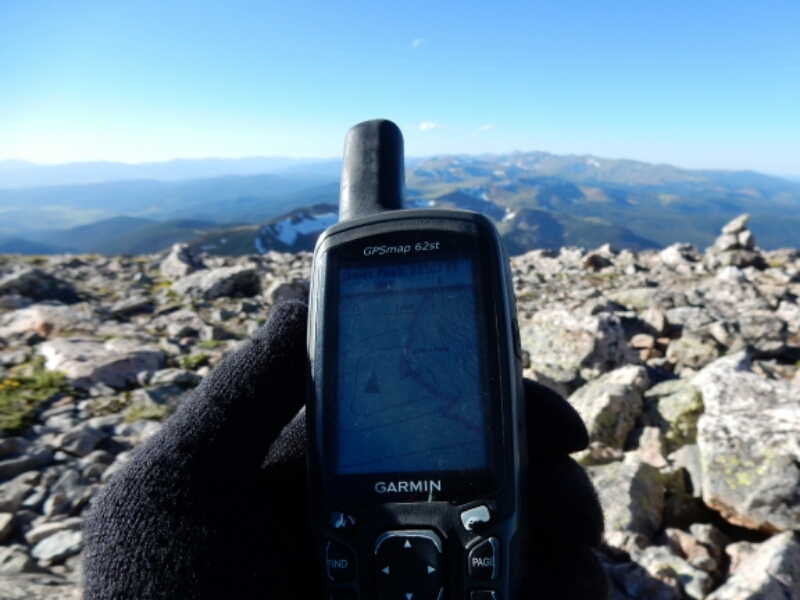 In this high elevation it takes so long to acclimate to the 12000 feet of elevation, and I never got into a good groove in two weeks along the high divide. But even on this thru-hike I am finding the terrain and elevation has taken it’s toll on me. The climbs on steep uphill pitches is very hard on my 62 year-old legs and lungs! 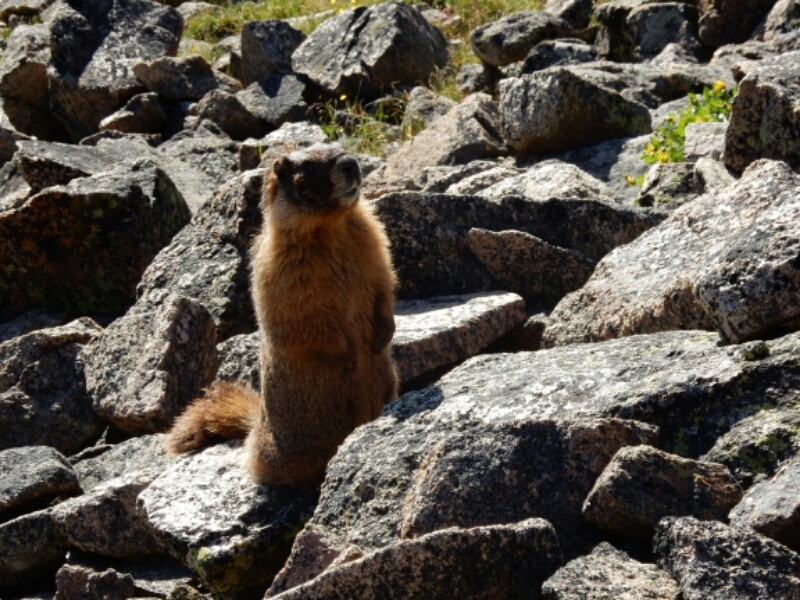 This Marmot welcomed me to James Peak! I descended James Peak and was lucky to find a spring that kept me well watered into the next day. I made a dry camp on (appropriately) Rogers Pass, a very windy place on that day. 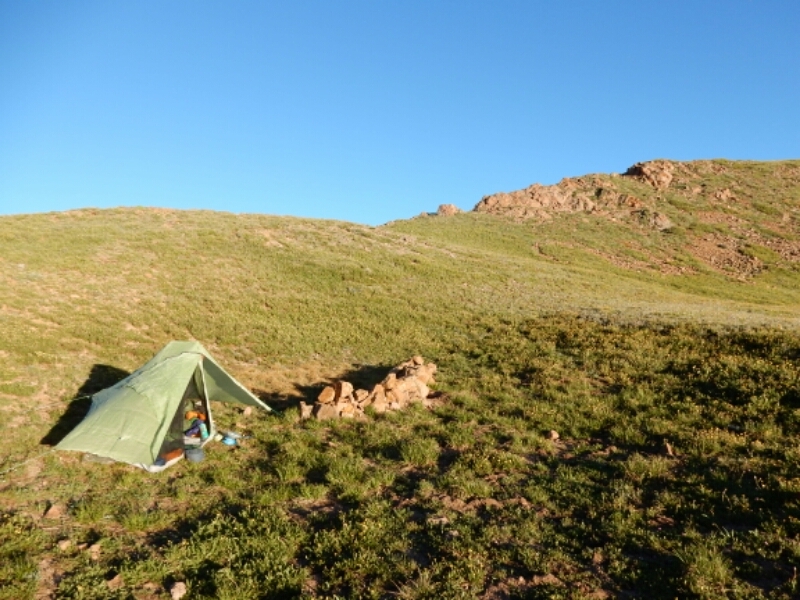 I started using my ultra-light Six Moon Skyscape tent again, and had no trouble setting it up securely on the windy slope! I had another date with my lovely wife Cindy once I reached Grand Lake. I hiked 21 miles along Monarch and Granby lakes along the way. About three miles before Grand Lake I saw Cindy, Nancy and Sandy coming up the trail to meet me! It was a welcome site after the 56 miles of trail that also featured 10,700 feet of ascents in just three days! Above: after reaching the trailhead in Grand Lake Cindy and I walked together through town, slackpack style, which is part of the official route. As I walked along the mountains and climbed and descended the peaks, I could not help but notice the russet colored ground cover and the bright red plants. Fall was coming to the high country. A few peaks later, I approached Mt. Flora and was about to join up with the the official CDT again. I have been to Fraser, CO many times through the years. I started skiing at Winter Park in 1972. My in-laws had a condo at Winter Park Meadows. Fraser has changed a great deal since 1972! It was much more “rustic” back then. I have enjoyed reading your posts and am hoping you stay safe as you move ahead. We still have a baseball game to plan! We are so happy all is going so well. Congrats on making it over those high peaks!